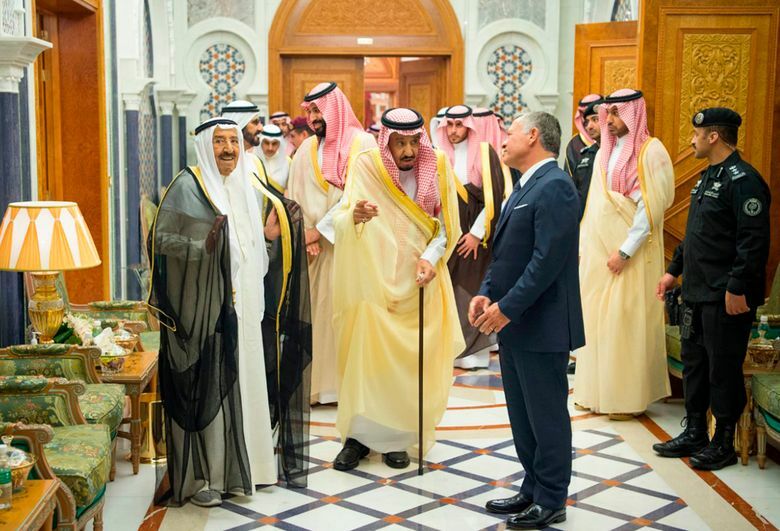 RIYADH, Saudi Arabia (AP) — Three Gulf Arab states pledged $2.5 billion in aid to Jordan on Monday in an effort to stabilize the U.S.-allied kingdom as it faces its worst protests in years over government austerity plans that include tax increases. The money from Kuwait, Saudi Arabia and the United Arab Emirates will go toward a deposit in Jordan’s Central Bank, cover World Bank guarantees for the kingdom, offer budget support and finance other development projects. The hope is the five-year aid package, which mirrors a similar aid package offered by Gulf states in 2011, will help Jordan come up with a new, more-palatable austerity plan to satisfy international lenders and its public. 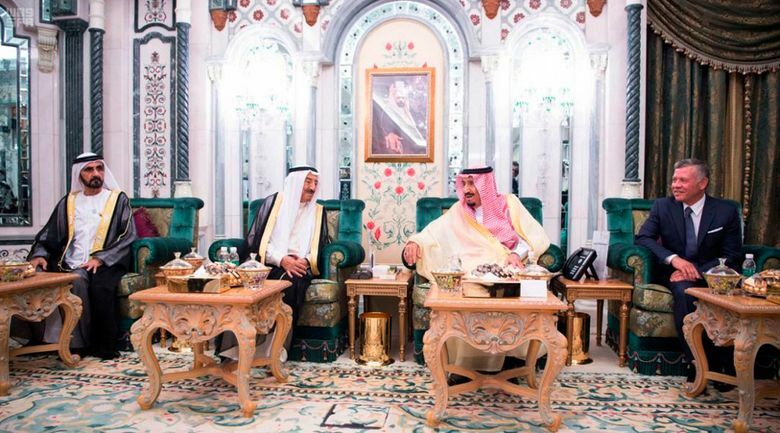 The money came after an early morning meeting in Mecca attended by Jordan’s King Abdullah II, Saudi King Salman, Kuwait’s ruling emir Sheikh Sabah Al Ahmad Al Sabah and Dubai’s ruler Sheikh Mohammed bin Rashid Al Maktoum, the UAE’s vice president and prime minister. 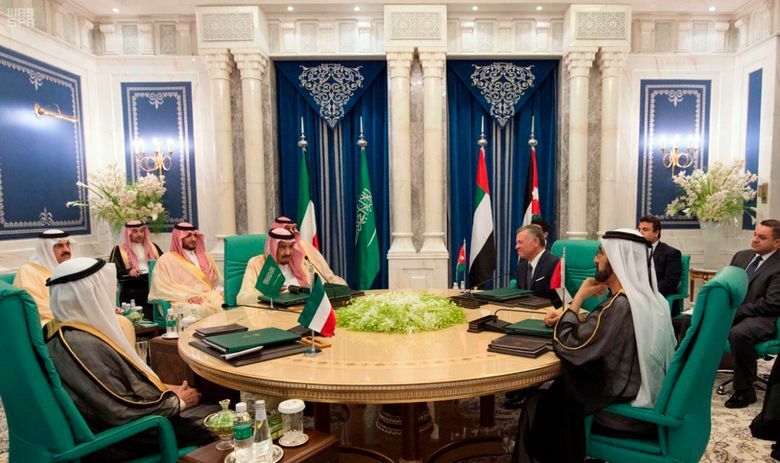 Also on hand was Saudi Arabia’s assertive 32-year-old Crown Prince Mohammed bin Salman, though he sat off to the side of a circular table that hosted the leaders. The statement quoted King Abdullah II as saying he hoped the aid would help his country overcome its fiscal crisis. In December 2011, the six-nation Gulf Cooperation Council that is headquartered in Saudi Arabia pledged to give $2.5 billion in aid each to Jordan and Morocco, both of which had been invited to join the regional group that year. The pledge from the GCC was to last five years. It expired last year and so far the six-member GCC has yet to offer any additional funding as the bloc remains split by a diplomatic crisis with Qatar. Jordan receives over $1 billion a year from the U.S., as well as aid from Europe and elsewhere. Jordan’s protests have led to the firing of its prime minister. While peaceful, the protests threaten the stability of a kingdom strained by hosting those who fled the wars in Iraq and Syria. Jordan also is one of only two Arab nations to have full diplomatic relations with Israel and plays an instrumental role in the region and in Israeli-Palestinian peace efforts. Associated Press writer Jon Gambrell in Dubai, United Arab Emirates, contributed to this report.